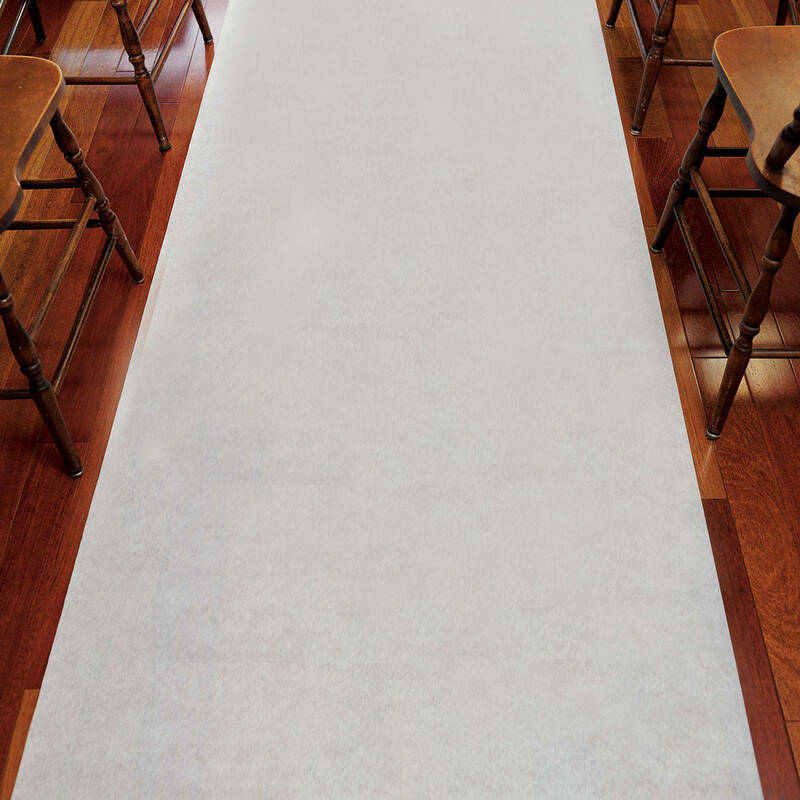 Wedding Aisle Runner In Plain White measures 39 inches wide by 75 feet long. This worked out great for our wedding. We wanted to cover up blue carpeting in our church & the runner was not too transparent / was very easy to use.